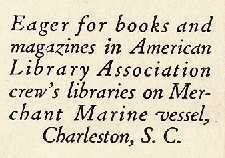 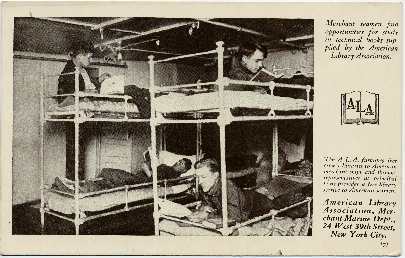 During World War I the American Library Association (ALA) furnished collections of books to seamen on merchant ships and provided free libraries for seamen at major ports. 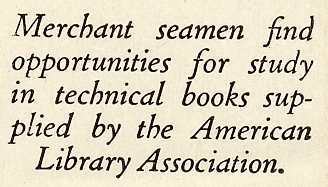 One of the legacies of that service was the creation of the American Merchant Marine Library Association in 1921. 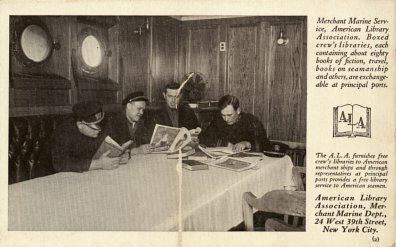 ALA produced a series of eight postcards, including the seven below, to promote its library service to the Merchant Marine. 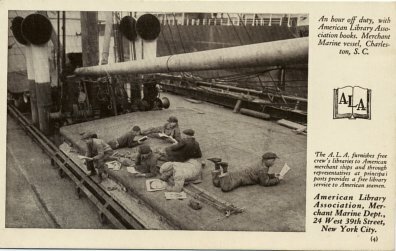 "An hour off duty, with American Library Association books, Merchant Marine vessel, Charleston, SC. 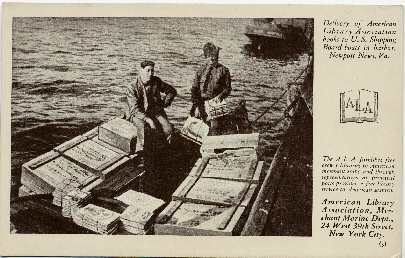 "Making a good haul at Hampton Roads, Va. 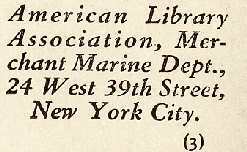 Merchant Marine library service of the American Library Association." 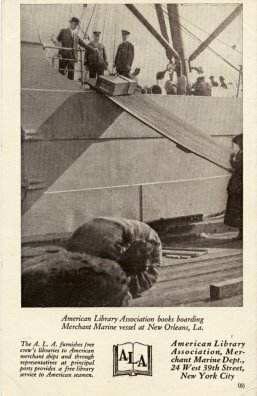 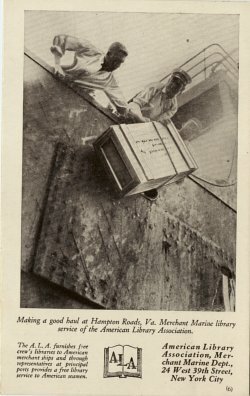 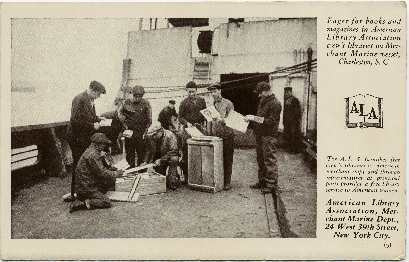 "American Library Association books boarding Merchant Marine vessel at New Orleans, La."